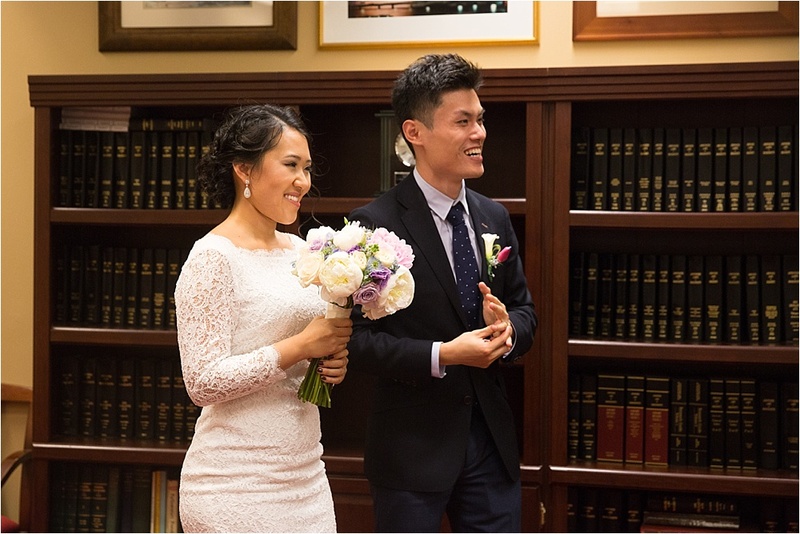 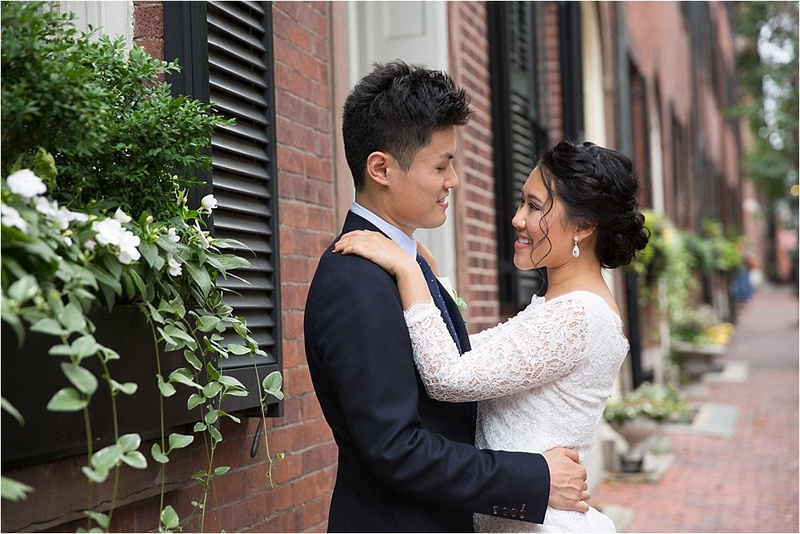 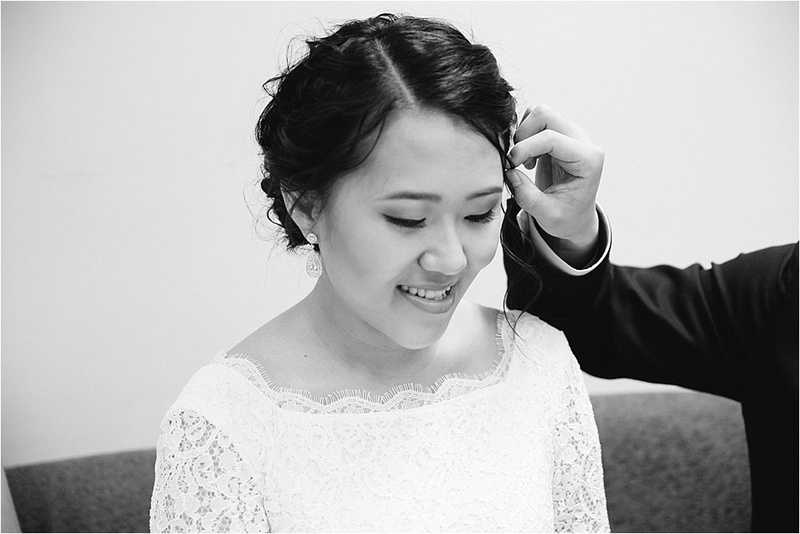 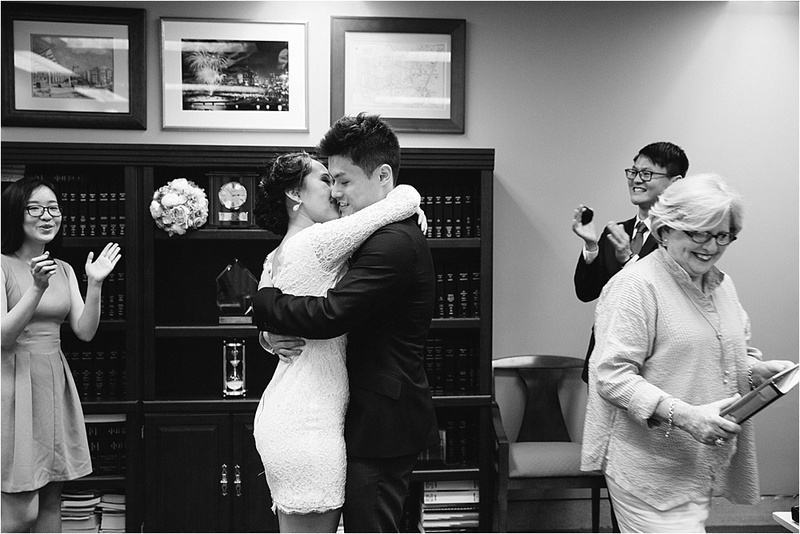 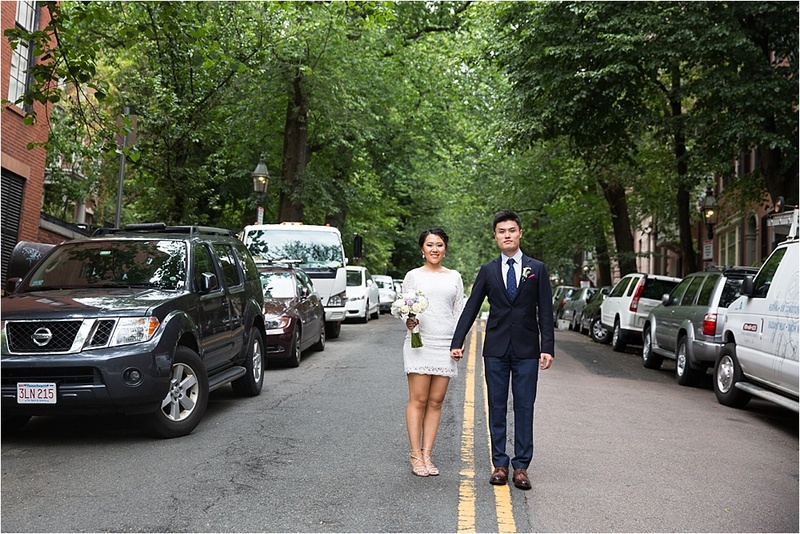 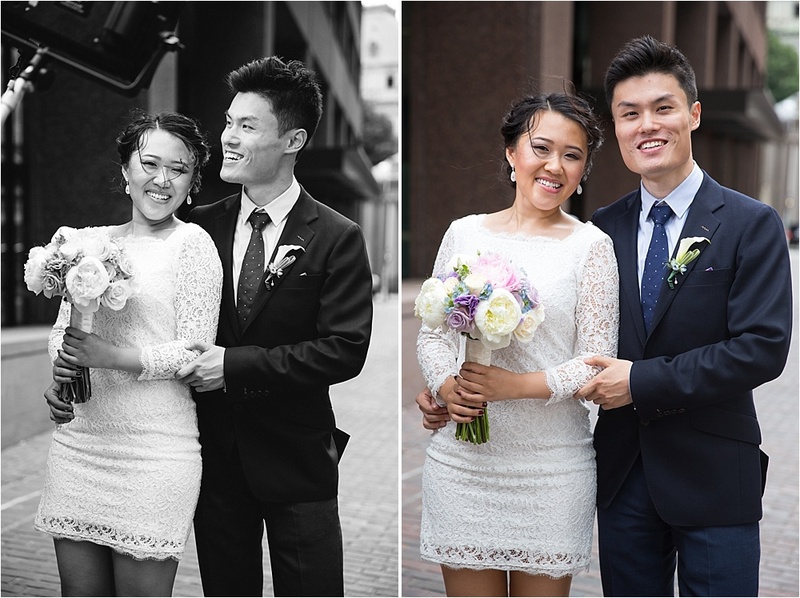 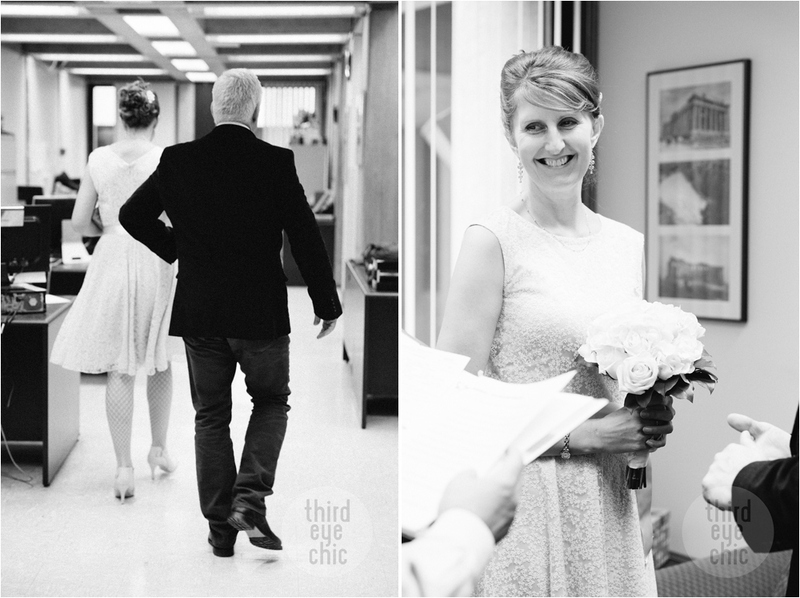 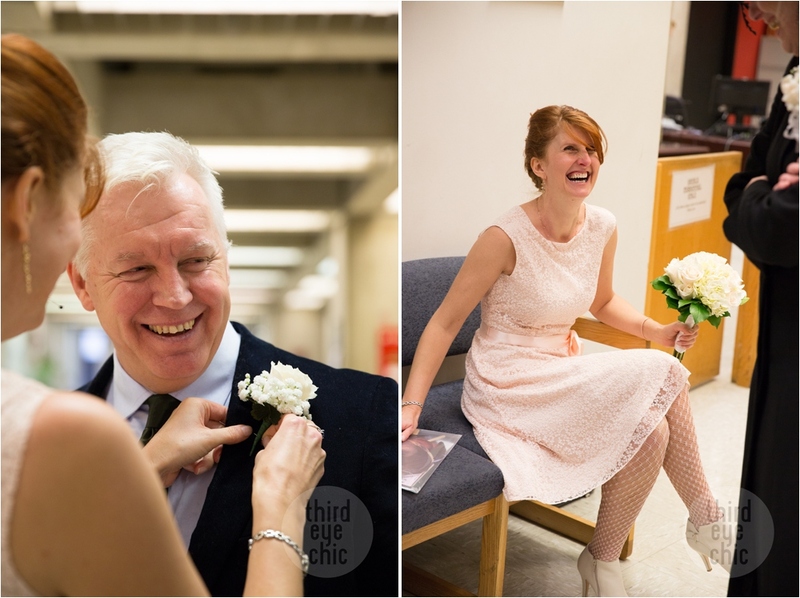 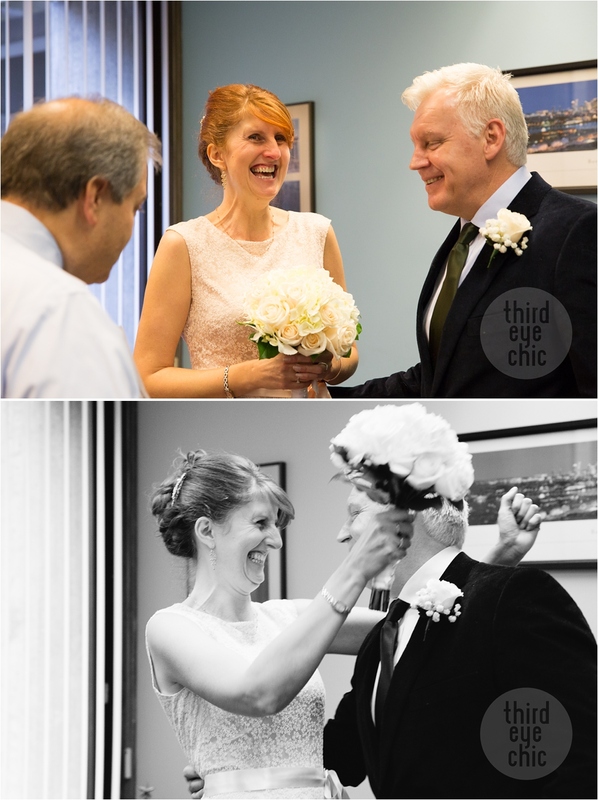 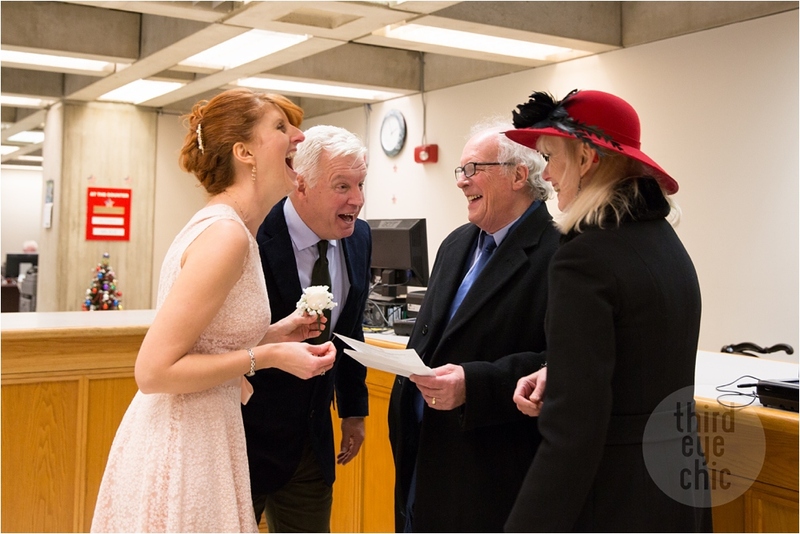 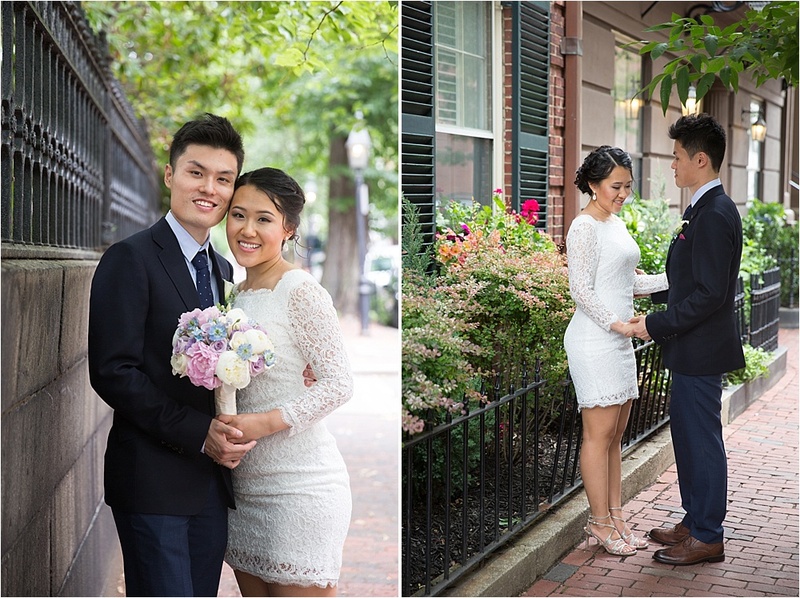 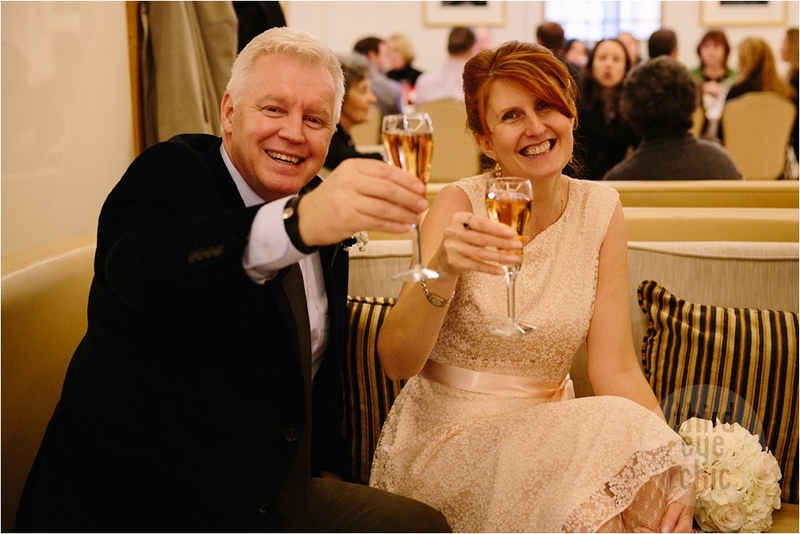 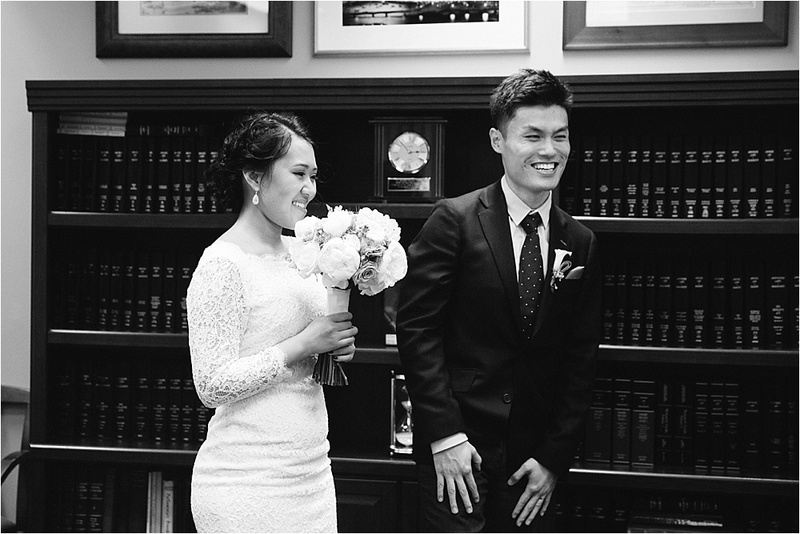 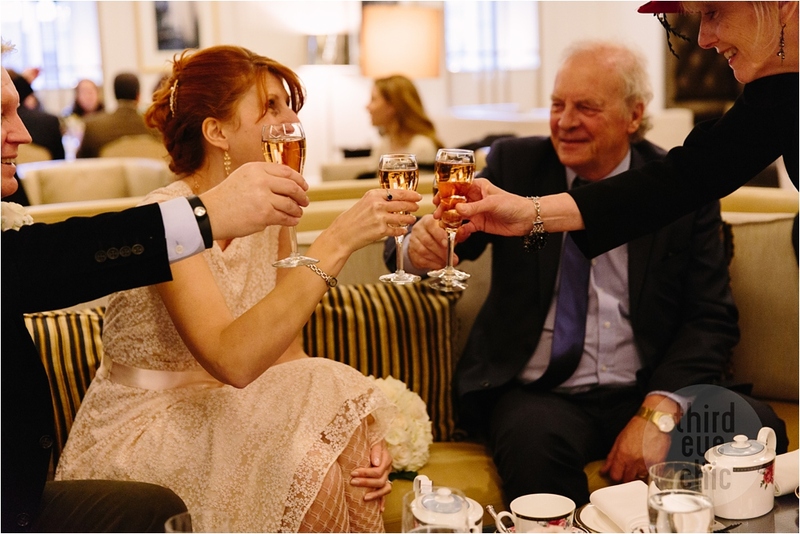 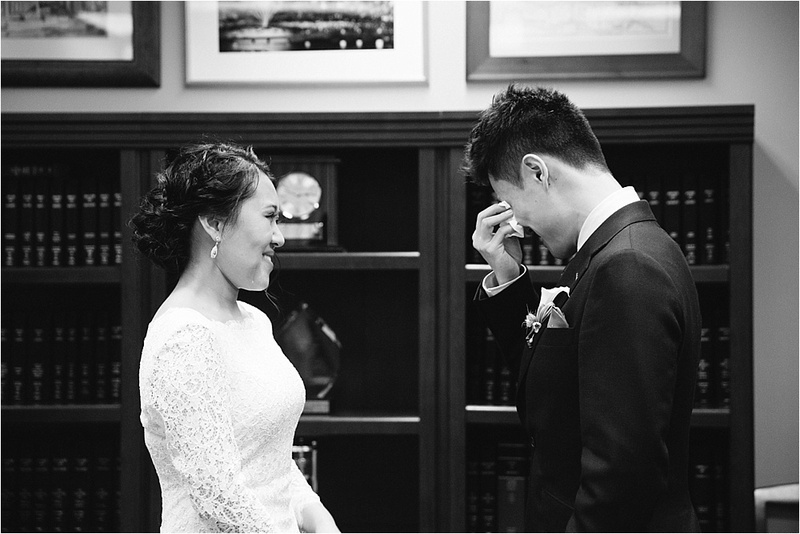 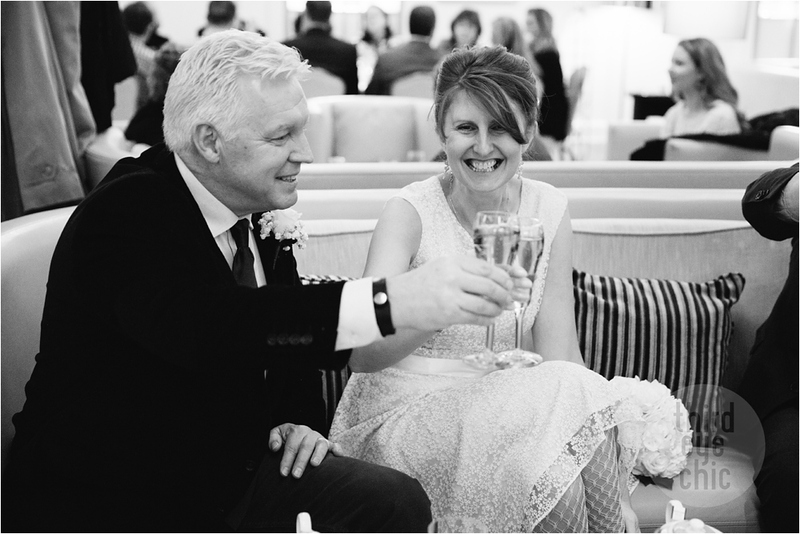 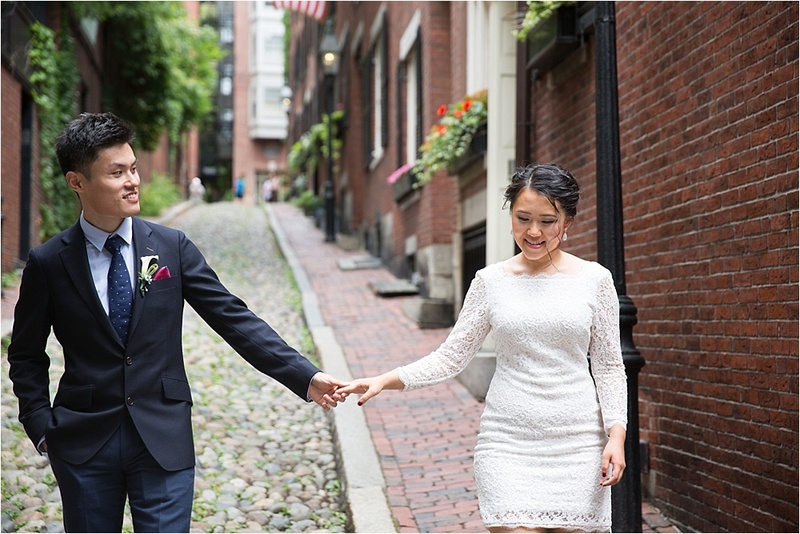 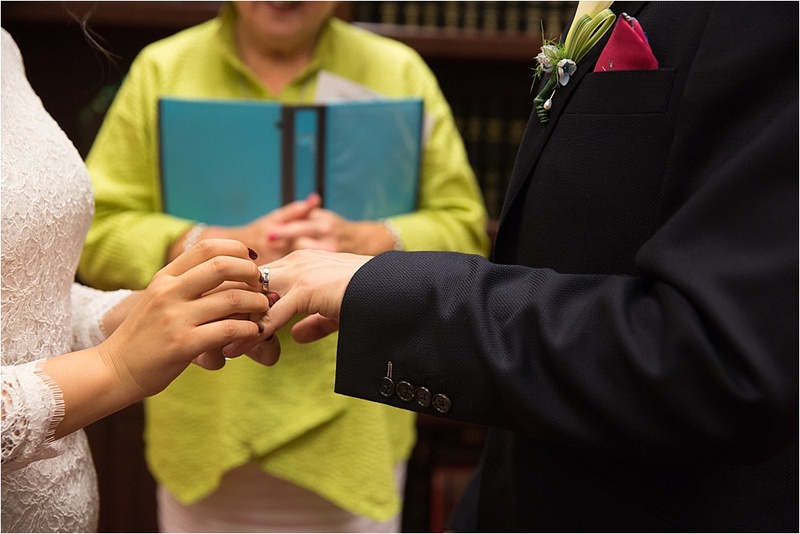 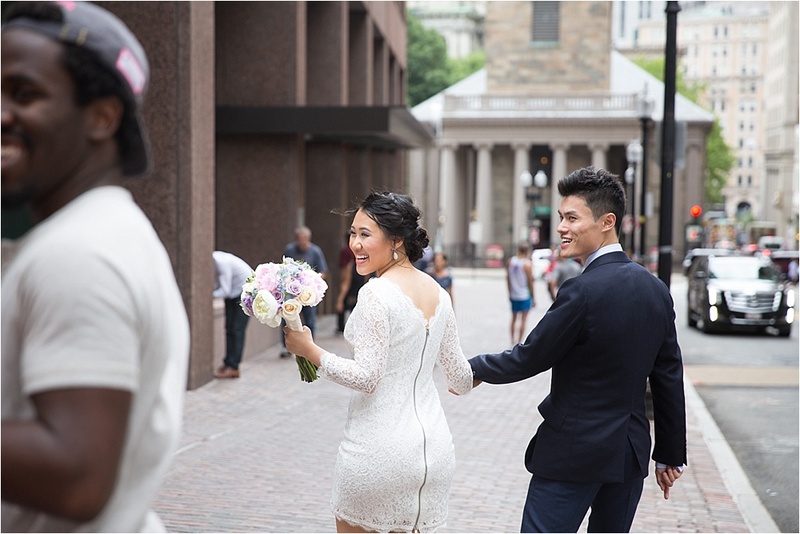 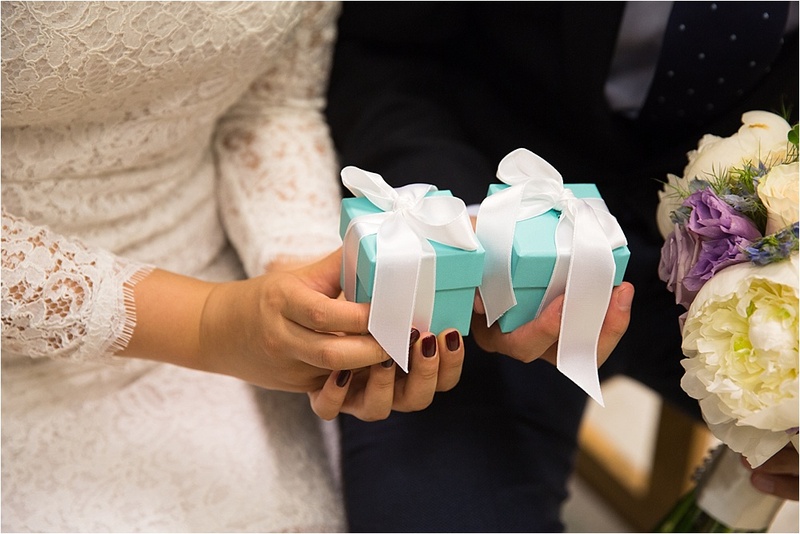 Francine and Patrik wanted to have a small private Boston wedding on the exact date they first met three years ago. 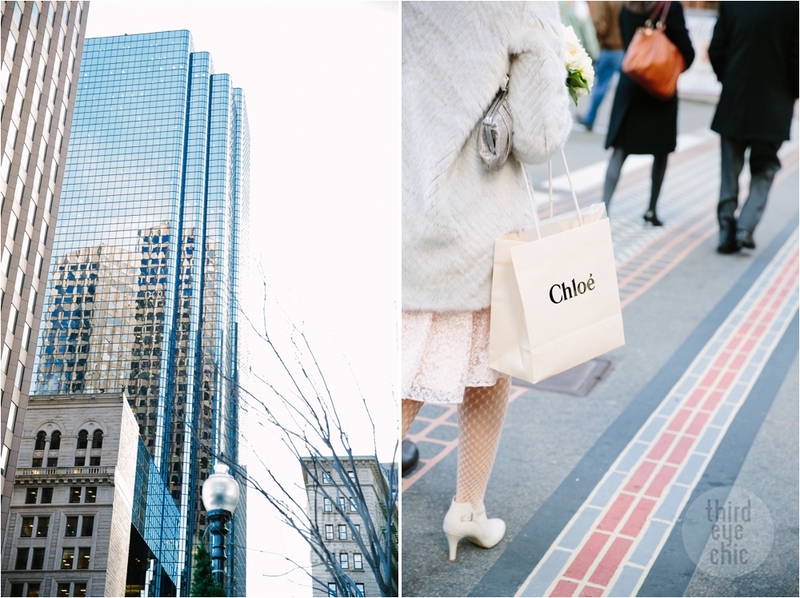 It was a bone-chilling March morning in Boston (temperatures in teens with insane wind gusts; yikes!) 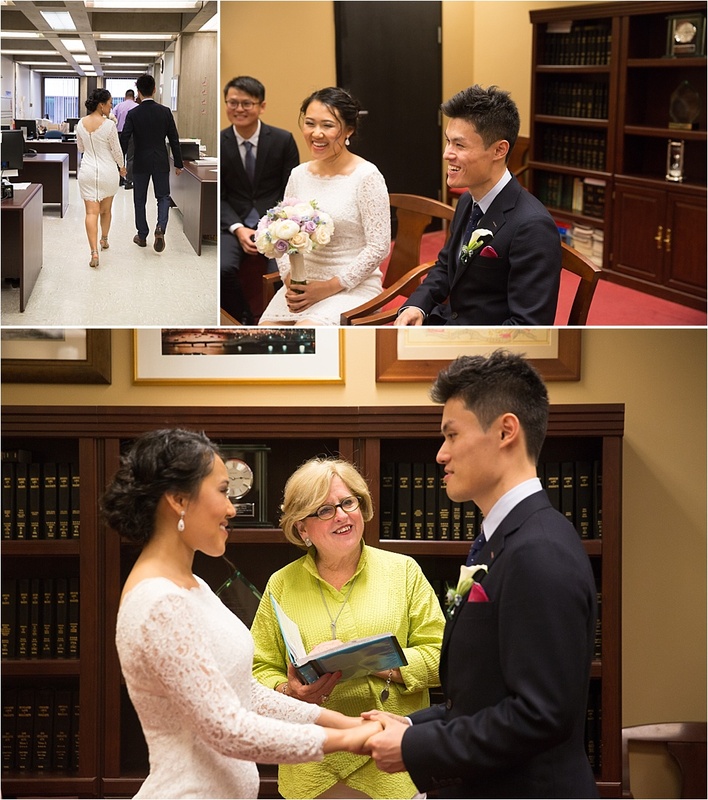 and we met for a 8 a.m. wedding ceremony. 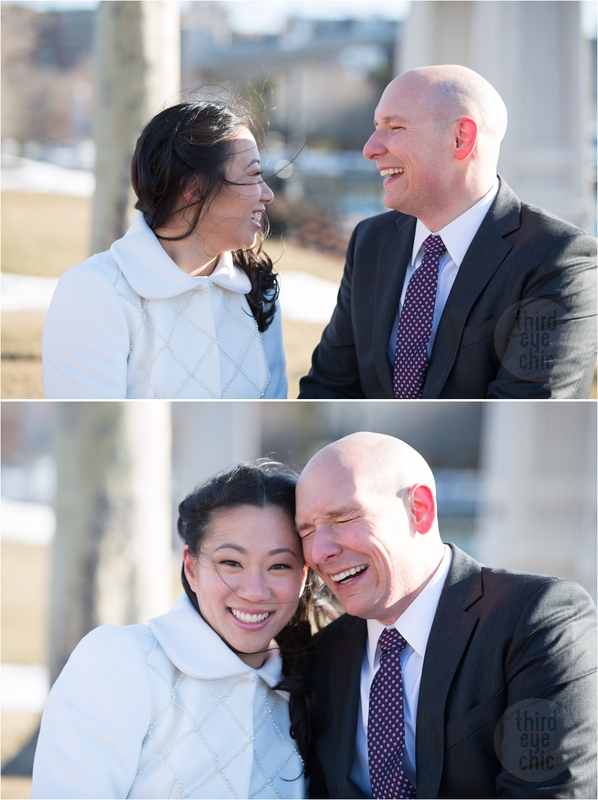 It was an eventful morning and both Francine and Patrik were troopers. 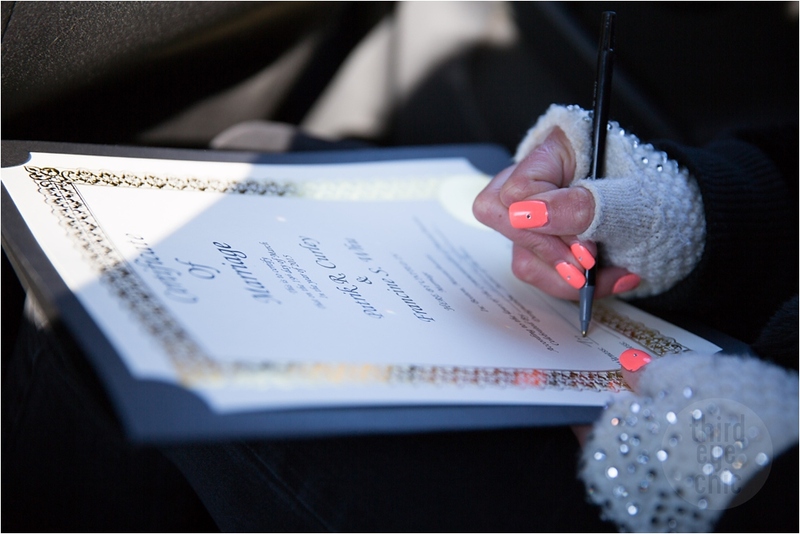 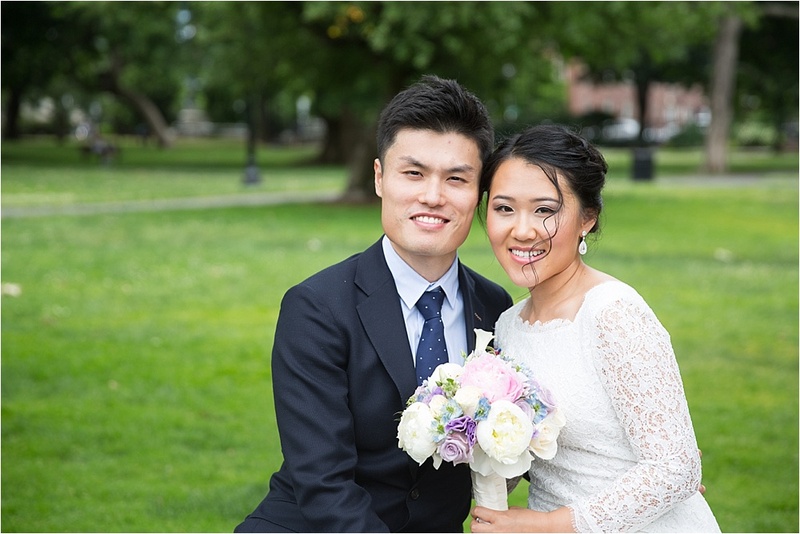 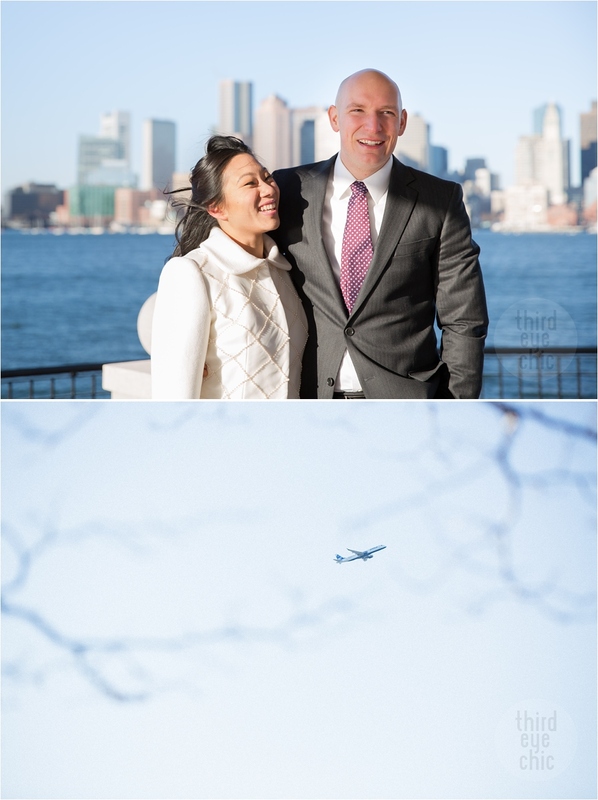 They both live in East Boston and a Piers Park wedding ceremony with gorgeous skyline views just seemed logical. 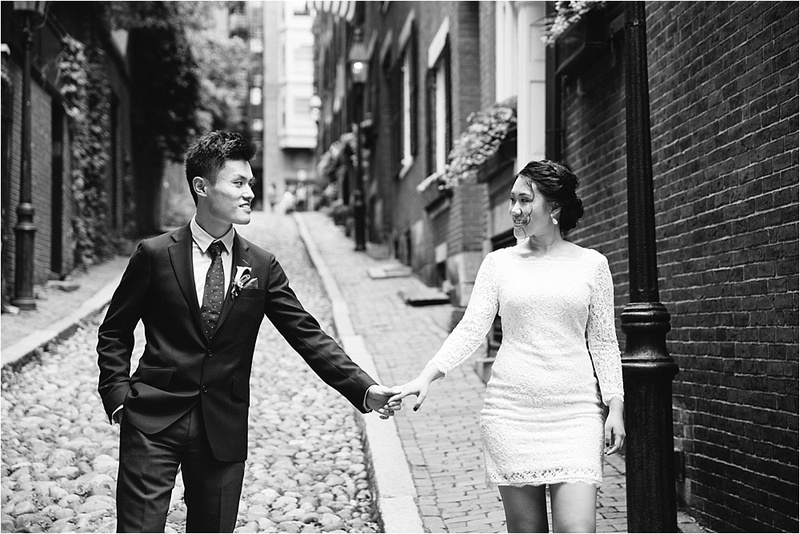 One of their very close friends drove down from New Hampshire to be a part of their intimate Boston wedding. 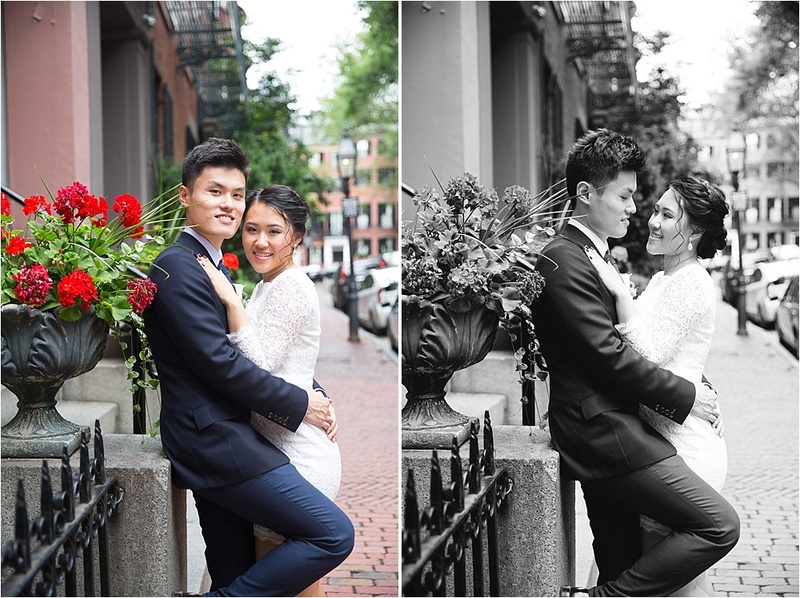 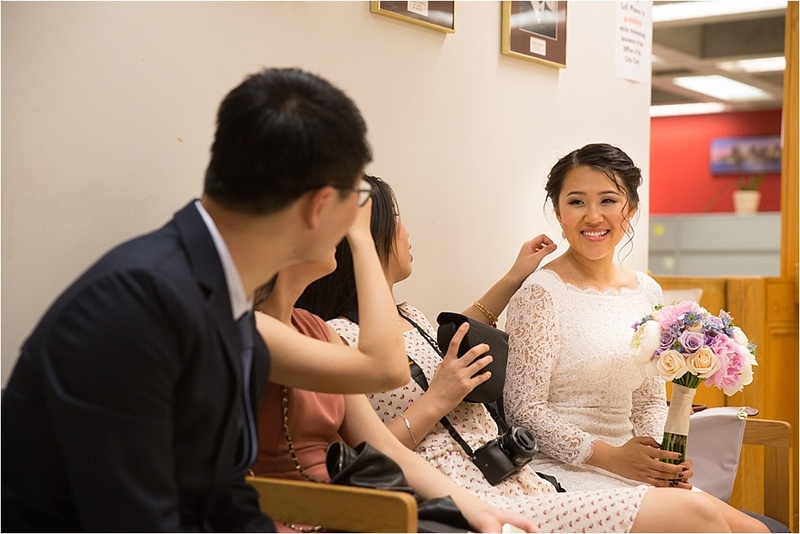 Please click here if you wish to see more of my work as an intimate Boston wedding photographer and Boston elopement photographer. 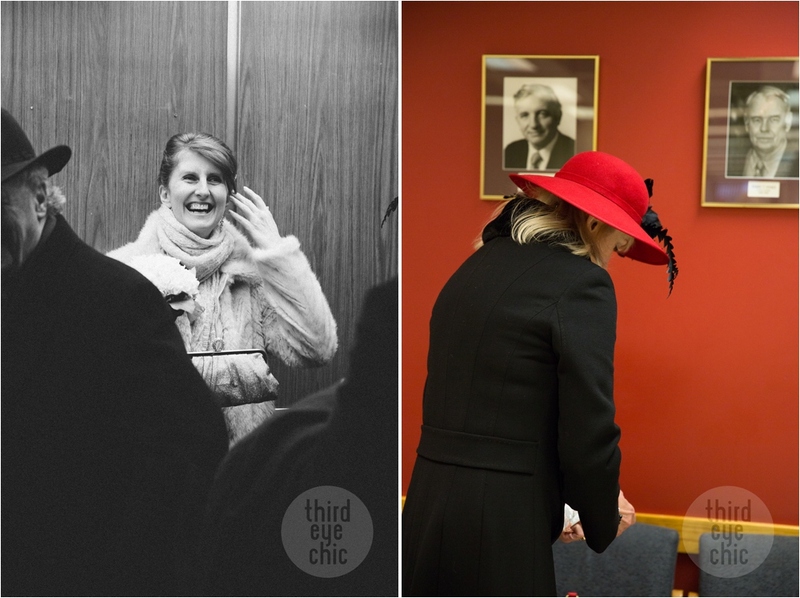 Meet Lorri and Tienie. 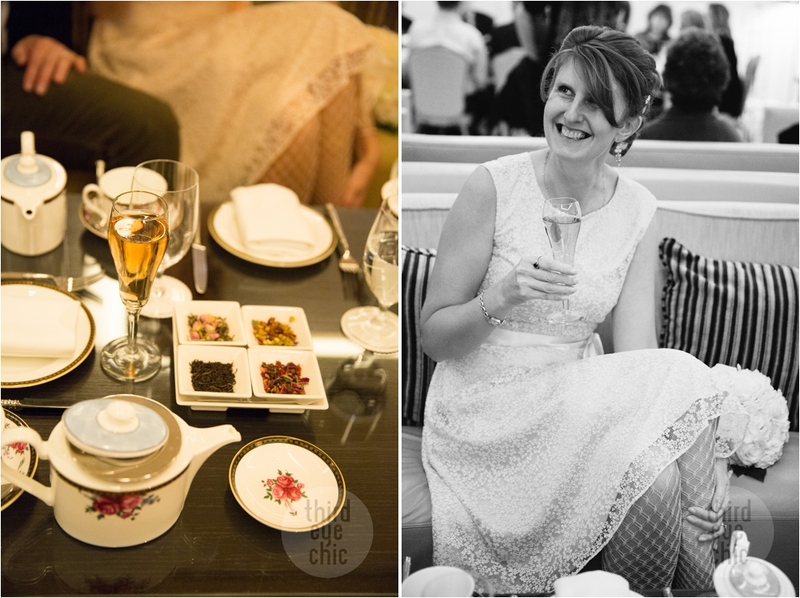 Lorri is British and Tienie is South African. 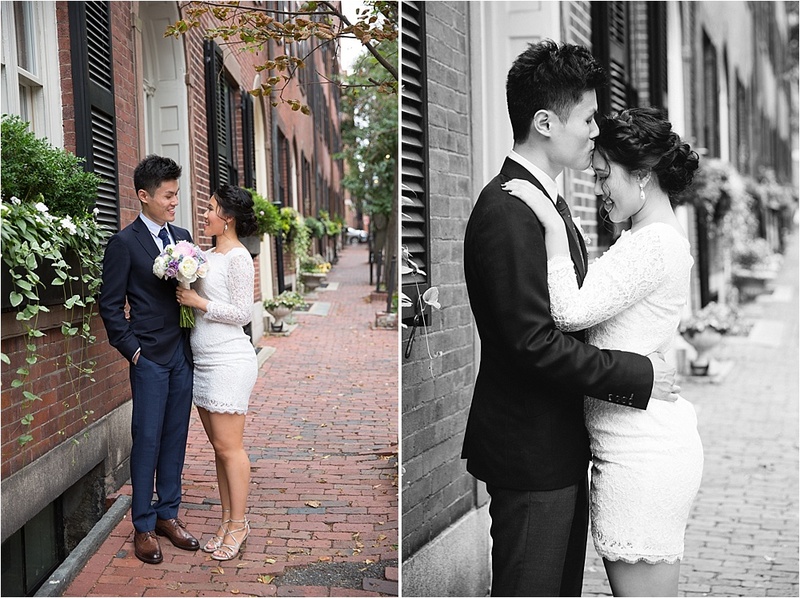 They moved from England to the US a couple of years ago, and now live in Boston. 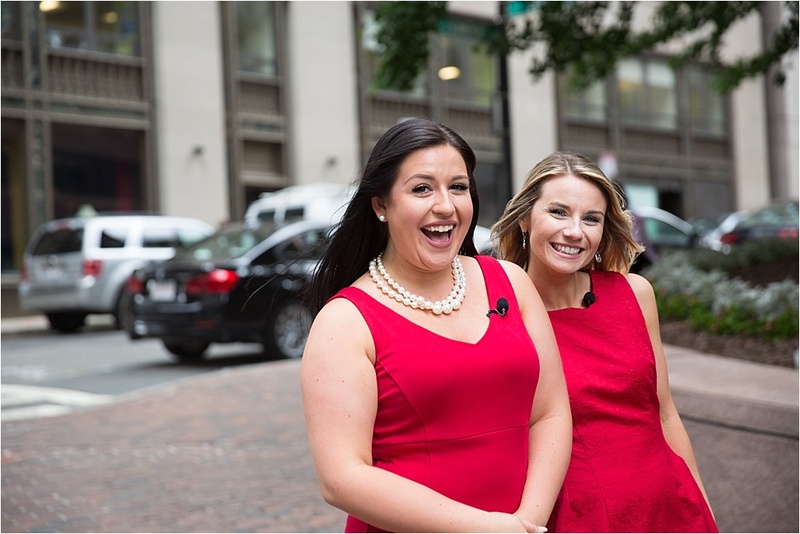 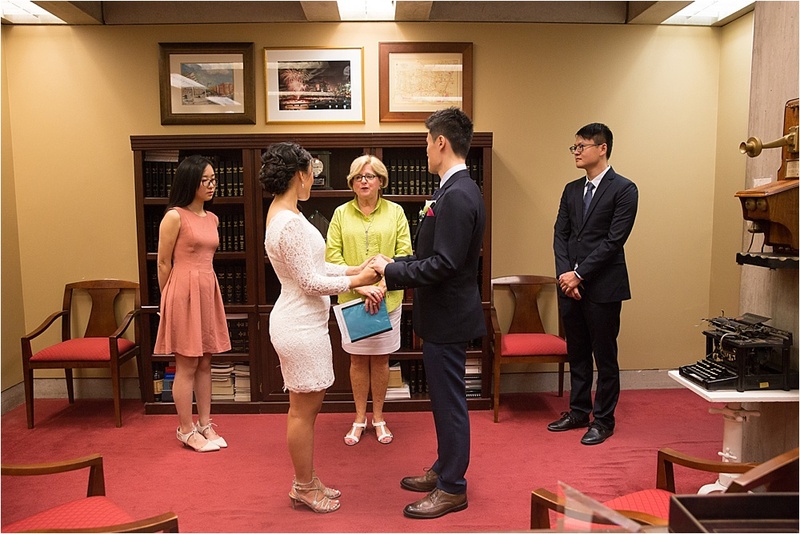 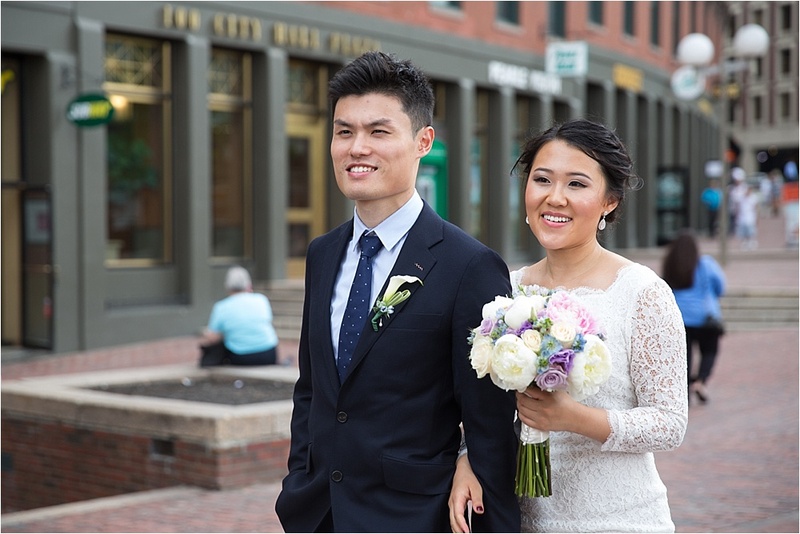 Their families are scattered all over the world and they have never been able to get them together, which is why they decided to elope in Boston, their new home. 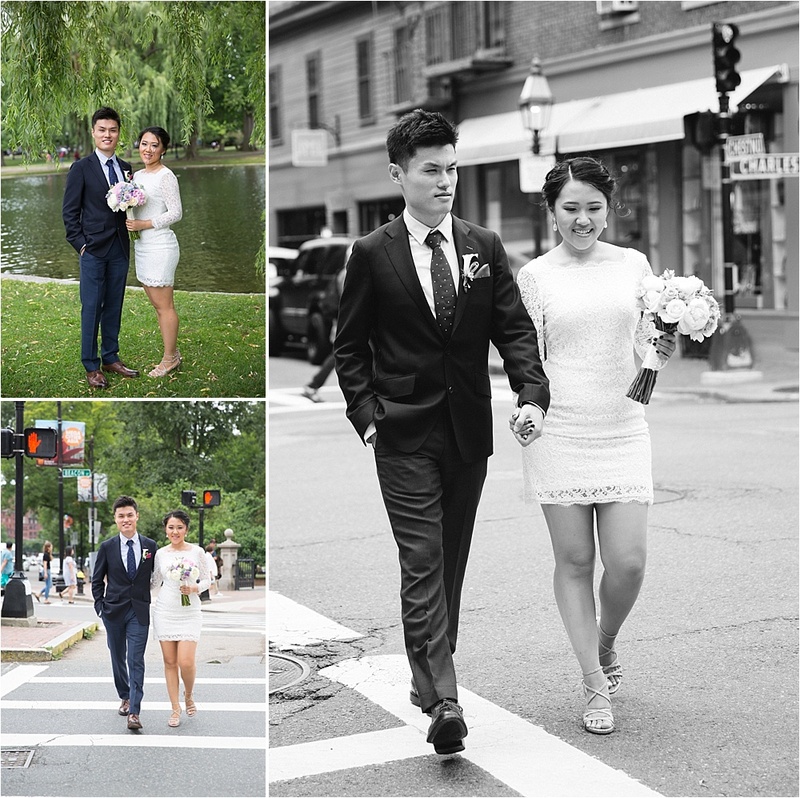 Two of their close friends joined them for the wedding day festivities. 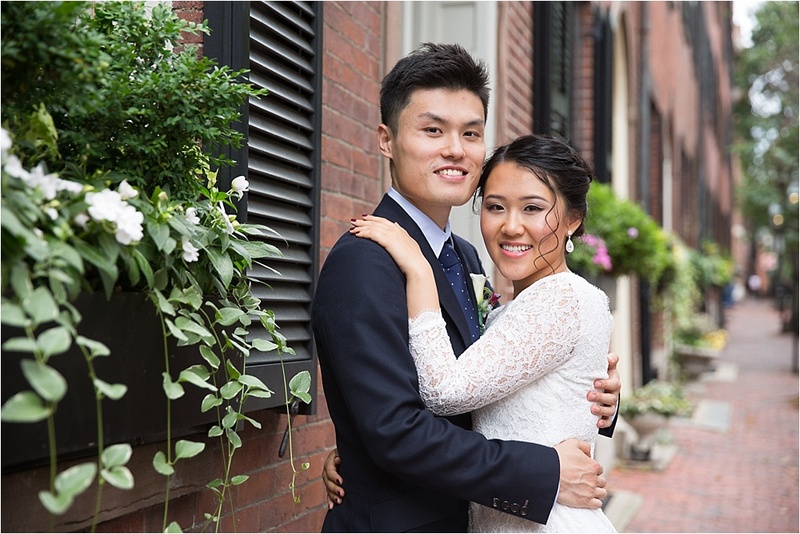 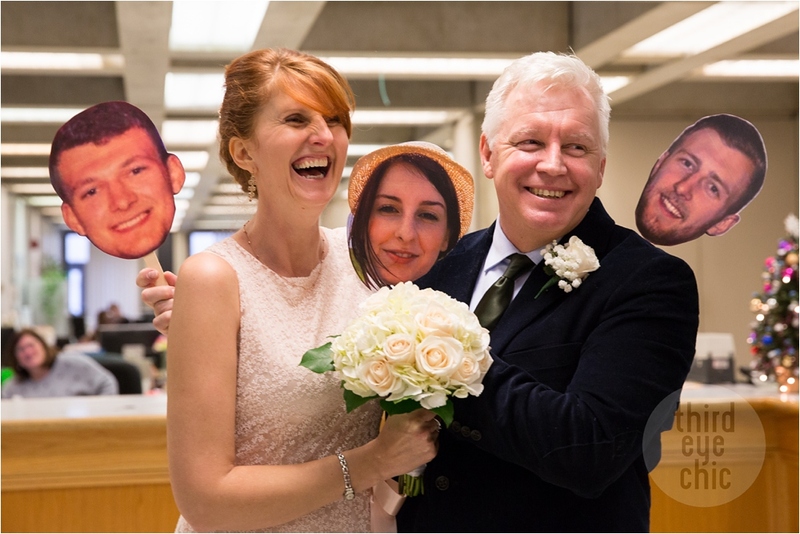 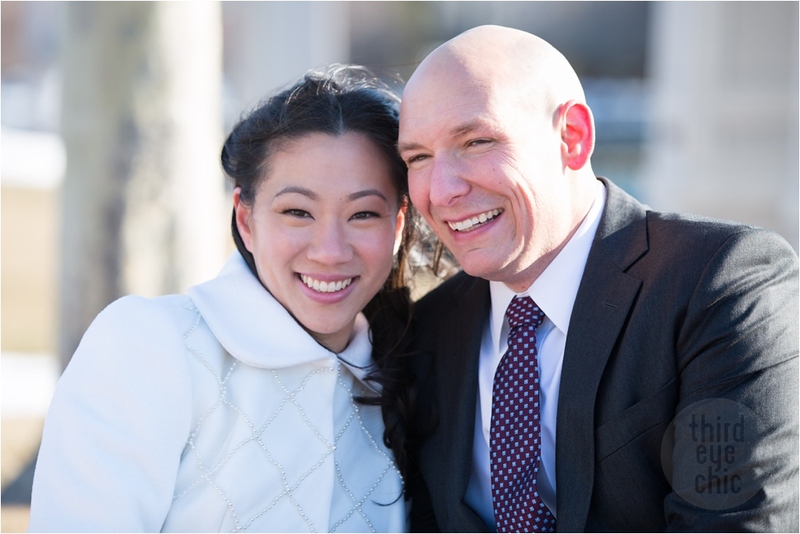 Right before their Boston City Hall wedding, they decided to meet at a pub and picked Elephant & Castle in downtown. 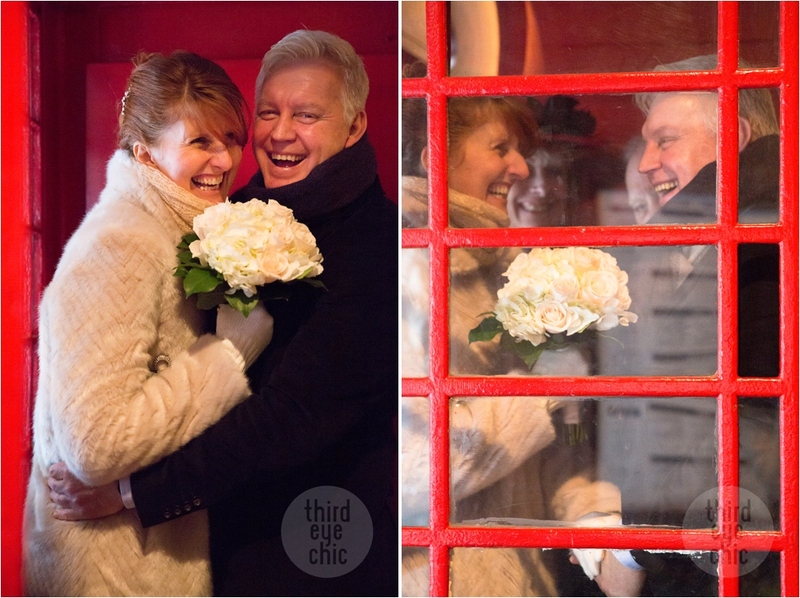 Elephant & Castle has a British red telephone box that Lorri thought would be fun. 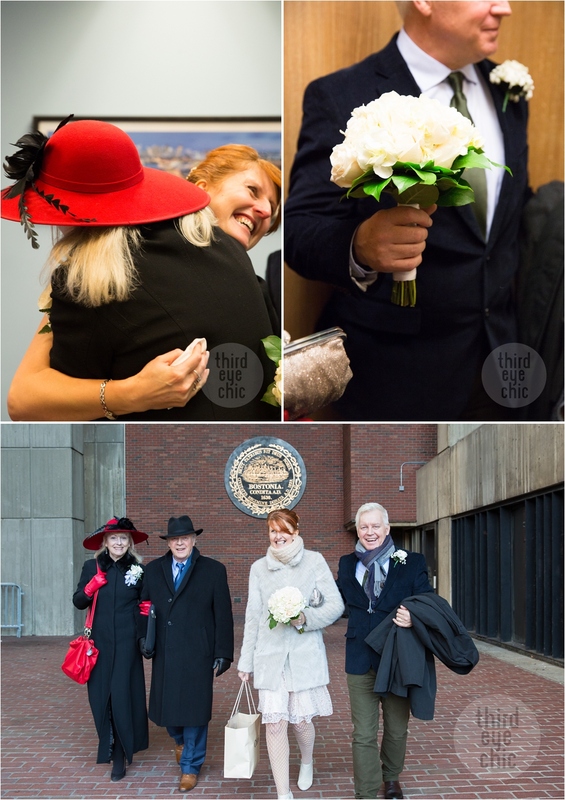 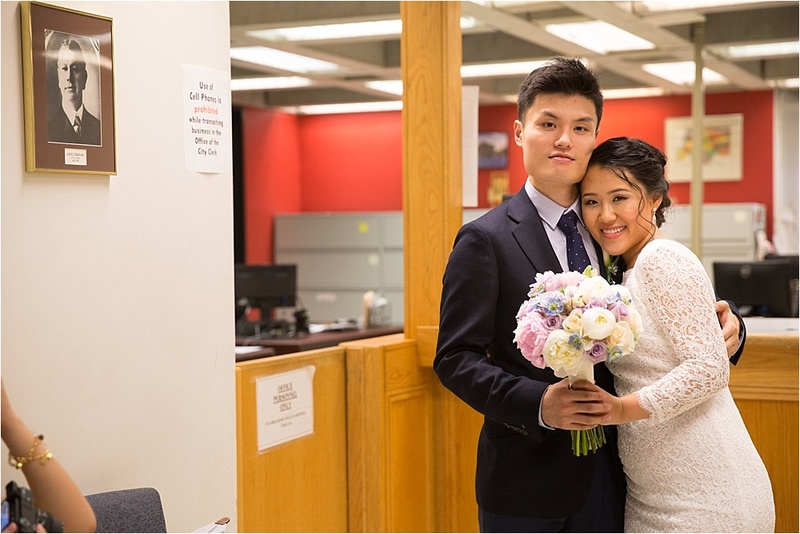 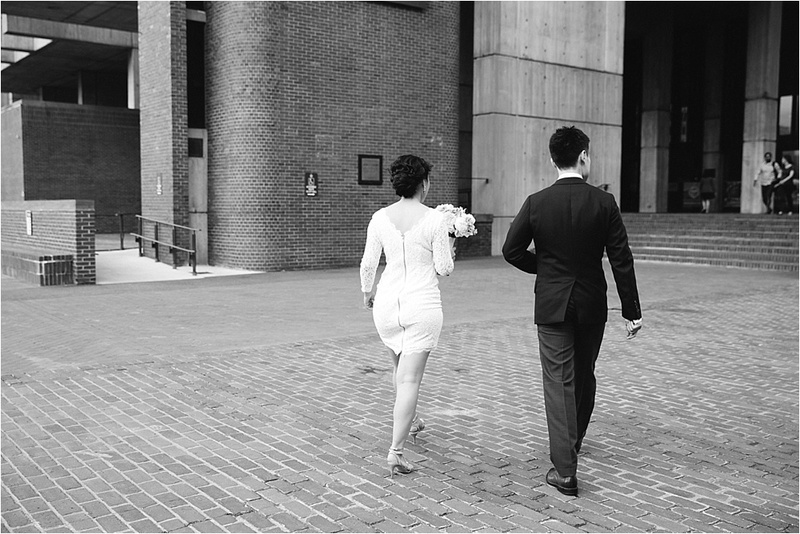 After some pub shots, we walked over to the Boston City Hall for a short, sweet, and intimate ceremony. 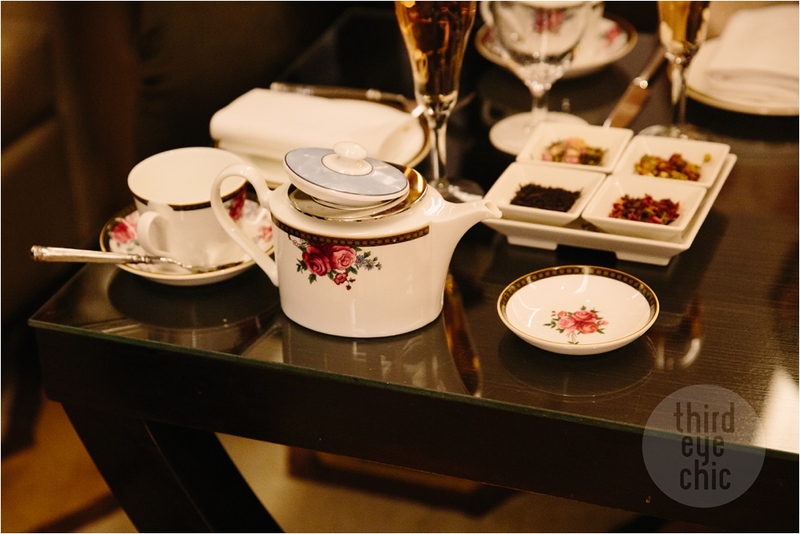 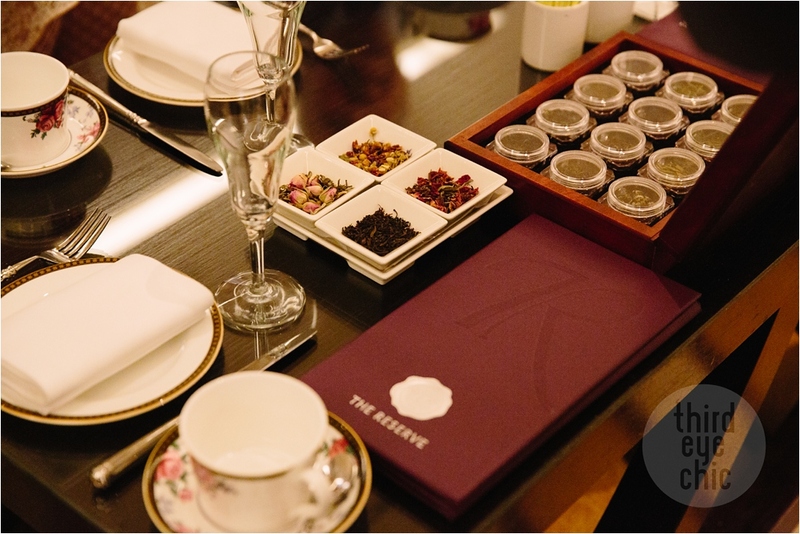 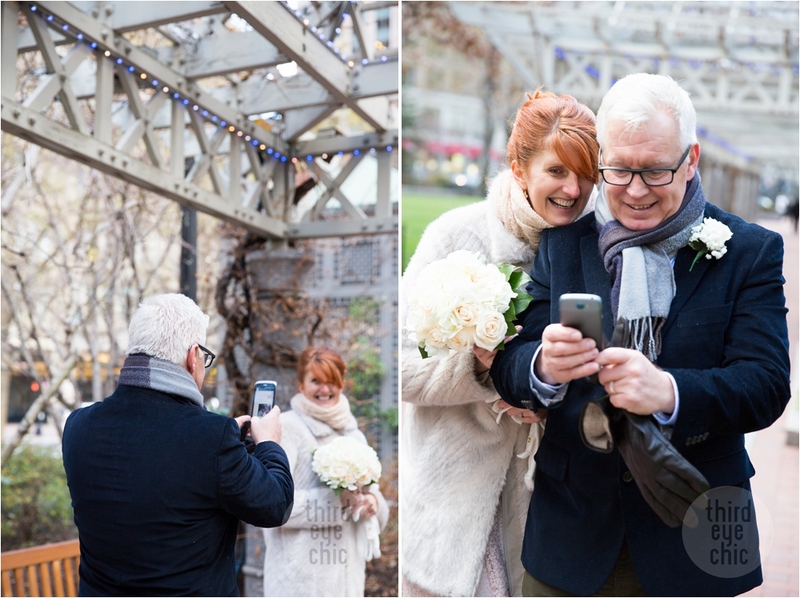 After the ceremony, we headed to The Langham for high tea and portraits outside at the Post Office Square. 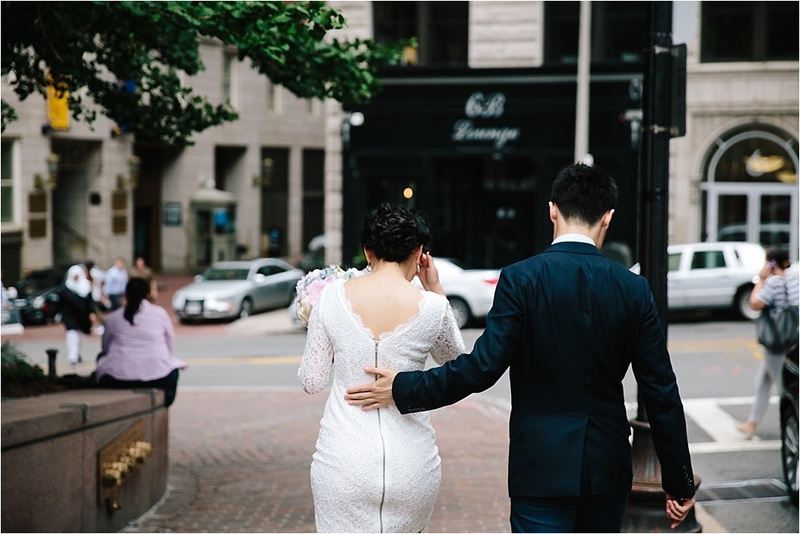 The afternoon was perfect! 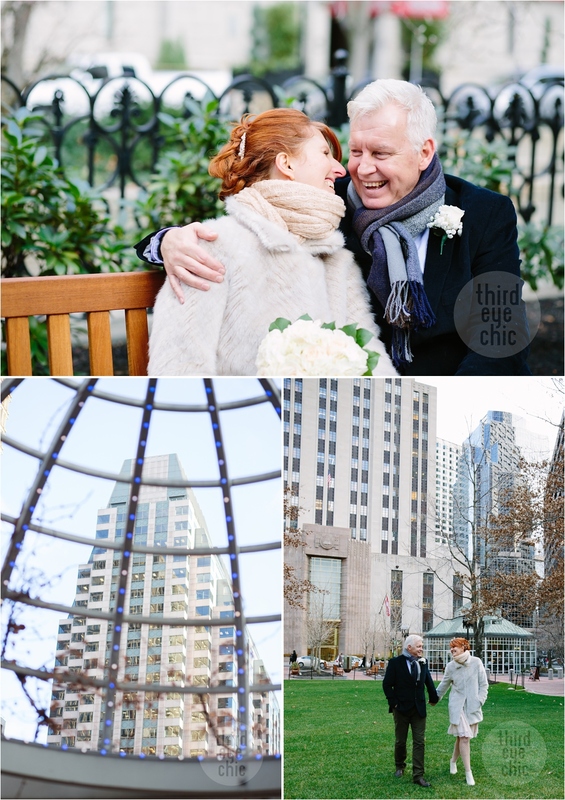 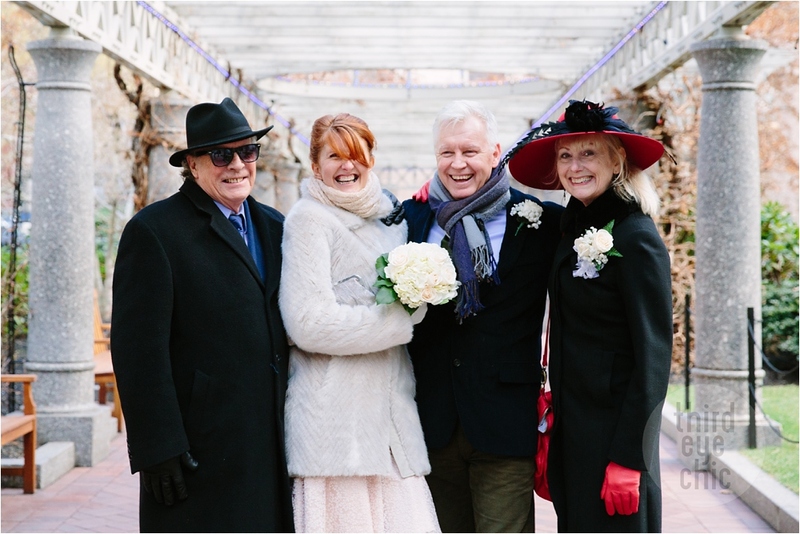 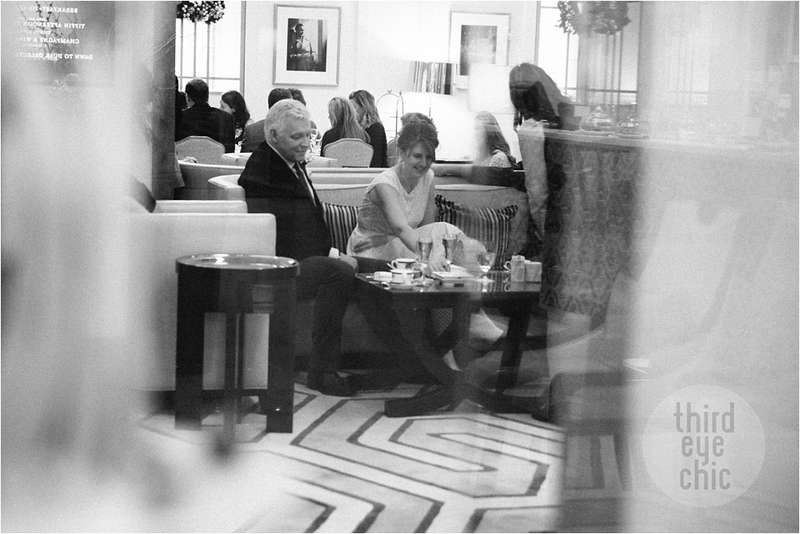 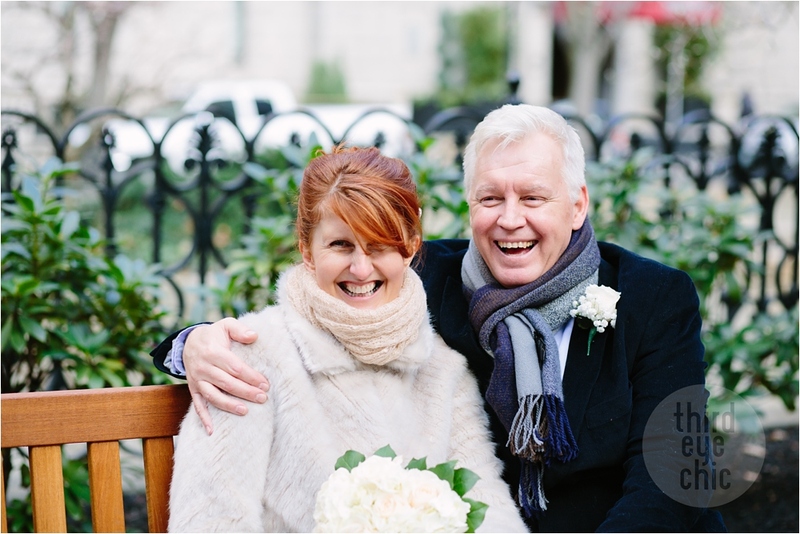 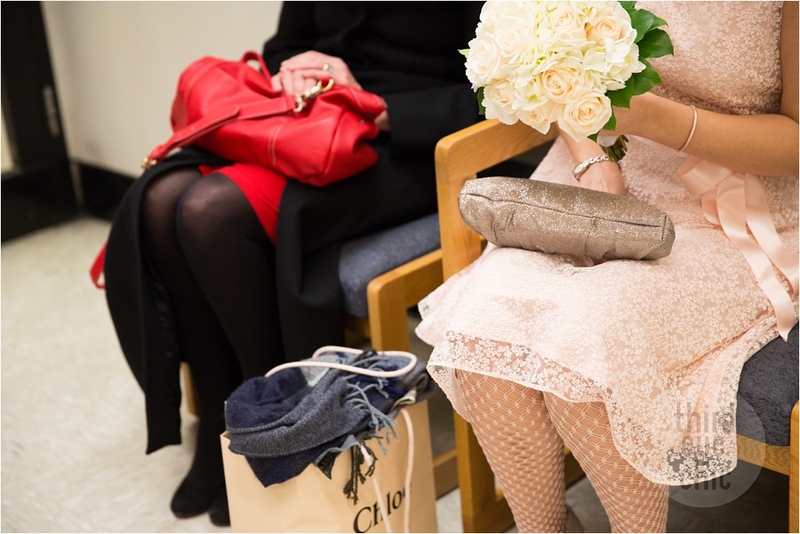 It was a chic downtown winter elopement.